For anyone who plans on spending some serious time on the water, the TRC Recreation Adult Life Vest is the best choice. This vest is a Type III PFD, which is a fancy way of saying ”it’s the comfortable one”. 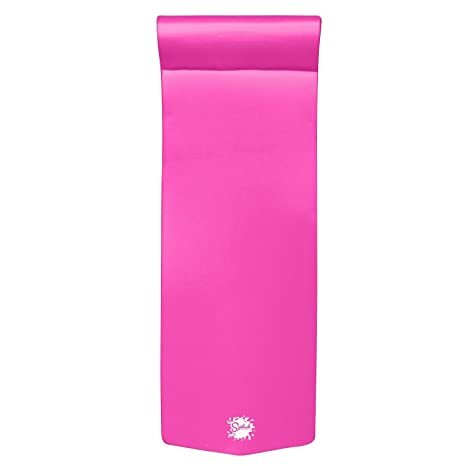 The body is made from vinyl-coated, closed-cell foam with Kwik-Snap clasps on the front and a size adjustment slot at the back for a perfect fit. 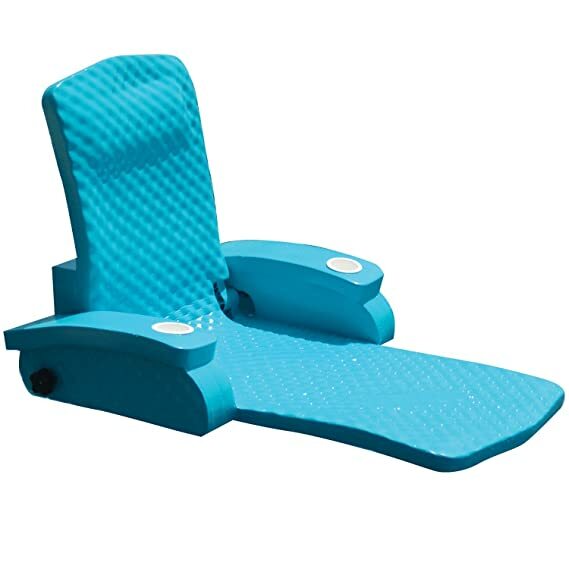 It’s designed to offer maximum mobility while keeping you upright in the water. It’s also offered in multiple sizes and colors for the perfect fit and look. Choose from available sizes. Made from closed cell foam and vinyl. Safety application. Light weight design. Great for long water activities. For those of you without plans this summer, we just solved your problem. 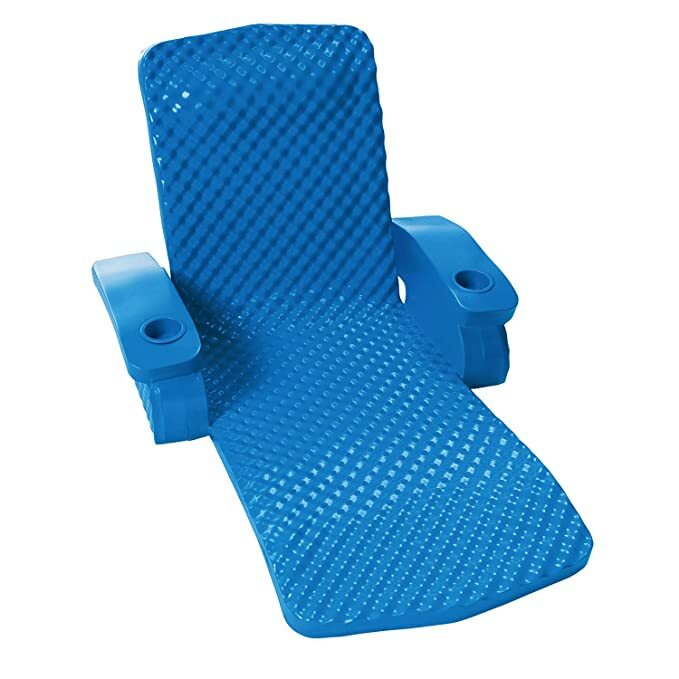 This pool lounger is dual sided with a honey-comb closed cell foam on one side and a glossy smooth side on the other. Both are weather-resistant and withstand chlorine and salt water. In addition, the full circle pillow is reversible and provides superb comfort and support. More comfortable than ever. About Texas Recreation Texas Recreation is an American based manufacturer of pool accessories, floating aids, and safety equipment. Their innovative pool lounging products are particularly notable for their comfort, something often lacking in this style of product. 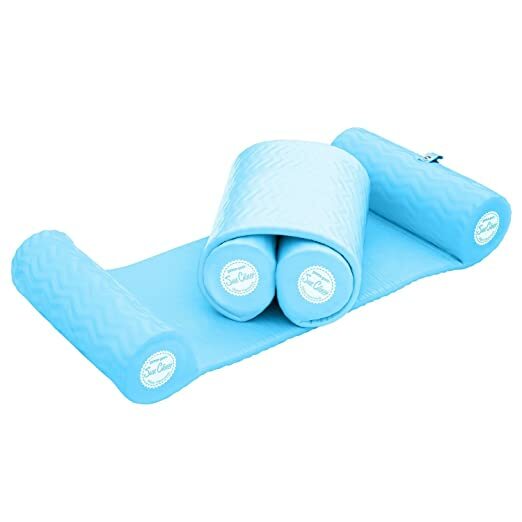 And though lounges, chairs, and the like are their main attraction, Texas Recreation has loads of products geared towards exercise, spas, novelties, even flotation swimwear. And perhaps best of all, their environmentally conscious manufacturing process puts a premium on recycling and puts them in good standing with the environment and their customers. 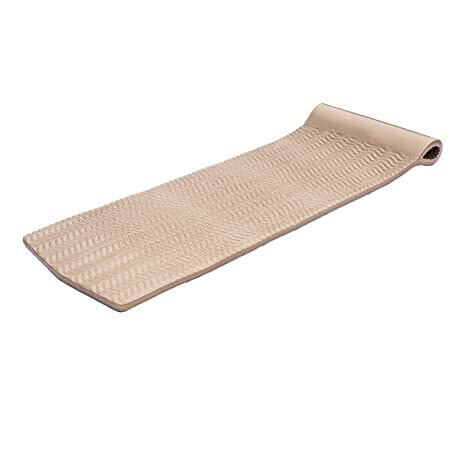 Dual sided texture for more comfort and durability. Measures 72L x 26W inches; 2 inches thick. Offered in white and blue. Fully reversible full circle pillow provides head support. Closed cell foam on one side, glossy smooth on the other. The TRC Recreation famous Splash Pool Float is soft and comfortable! Glossy smooth with a full circle pillow for extra buoyancy. It’s long lasting and durable. 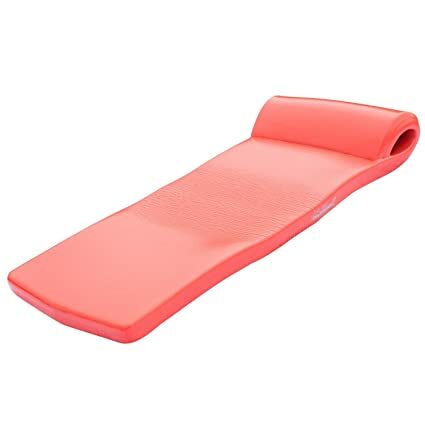 Features: Made from soft, buoyant, closed-cell foam. Vinyl-coated for a long-lasting finish. Approximate Dimensions: 70 L x 25 W x 1 Thick. This model comes in Kool Lime Green. The Texas Recreation Super Soft Adjustable Recliner adjusts to any position from fully folded to sitting, reclining, and fully horizontal. Sit up or recline in perfect comfort. These floating loungers are quick and easy to adjust. Use one as a chair, lounge, or float. The TRC Recreation famous Splash Pool Float is soft and comfortable! Glossy smooth with a full circle pillow for extra buoyancy. It’s long lasting and durable. 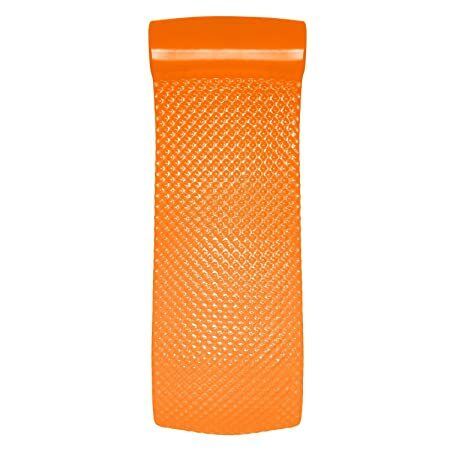 Features: Made from soft, buoyant, closed-cell foam. Vinyl-coated for a long-lasting finish. Approximate Dimensions: 70″ L x 25″ W x 1-+” Thick. This model comes in Orange Breeze. 8021518 Color: Bronze Features: -Pool float.-Available in Bronze, Kiwi, Coral, Aquamarine and Metallic Blue.-Relax! Extra thick, extra buoyant pool float.-Designed for the ultimate buoyancy and support. 8200112 Color: Yellow Features: -Water Hammock.-Needs no inflating/not a toy.-One size floats all.-Flotation pods are made of recycled foam.-Grommet for easy storage. Options: -Available in Yellow and Aquamarine colors. 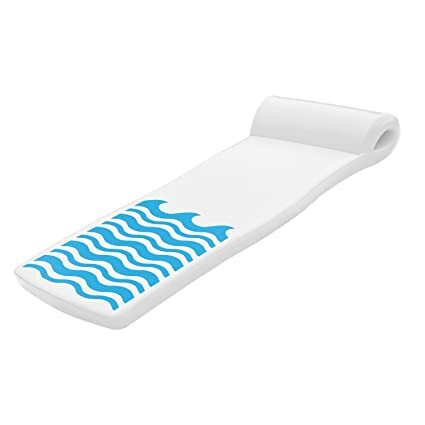 The Texas Recreation Sunsation Pool Float is constructed of soft, long-lasting foam that will not leak or absorb water. This beautiful float is both fun and bacteria resistant. This is the perfect float for the pool, lake, or beach. It is ideal for all recreational use. 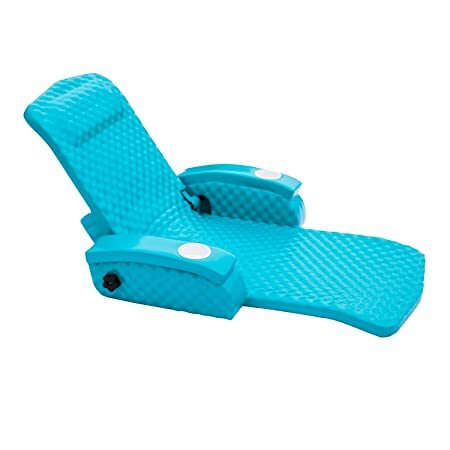 6570126 Color: Blue Features: -Folding Lounge.-Steel reinforced arms, headrest and accessory holders.-Two positions: folded and sitting.-Designed for comfort and relaxation.-Easy to clean.-Made in the USA.-170 lbs suggested weight limited. Options: -Available in Blue, Aquamarine and Kiwi colors.